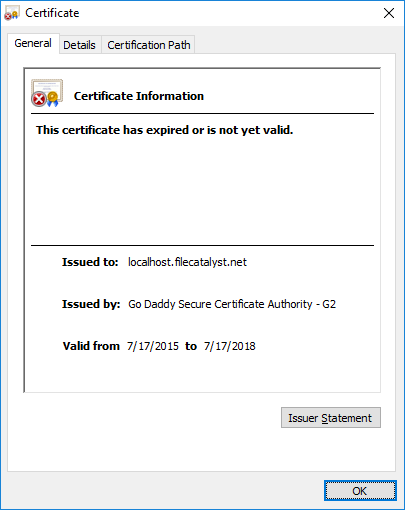 The certificate within the TransferAgent Client for the DNS "localhost.filecatalyst.net" expired as of 07/17/2018. This issue can be seen in v3.7.1 and older TransferAgent Client releases. FileCatalyst TransferAgent v3.7.1 and older. There are two options available to fix the issue described above. Upgrade the FileCatalyst TransferAgent to v3.7.2. You will need to download the latest FileCatalyst TransferAgent installer from our website FileCatalyst Download Portal. 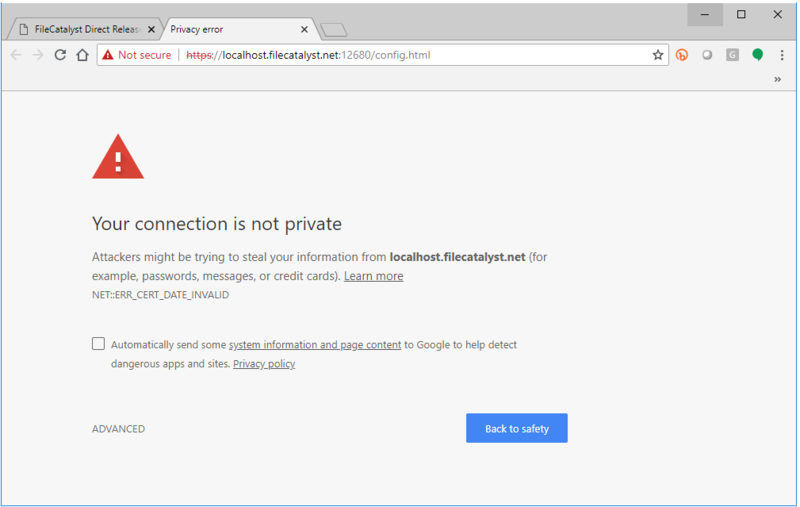 Contact your FileCatalyst Sales Representative in order to obtain the username and password or login in the Support Portal and hit the Get Download Credentials Button. 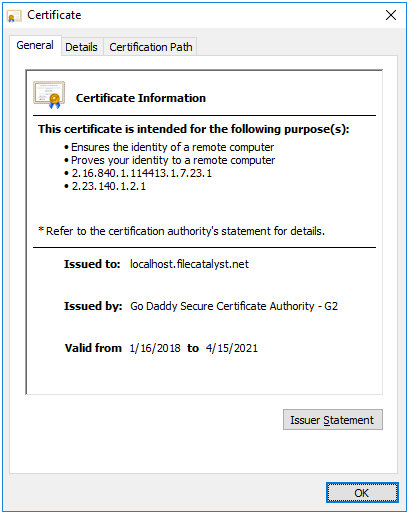 Locate and download the FileCatalyst TransferAgent installer based upon your Operating System.